Attorneys who help their clients with a divorce understand that the ending of a marriage is a stressful and emotional event for most people. Although every person goes through each stage differently, divorce lawyers find that most people go through a similar series of emotions as they progress through the dissolution of their marriage. 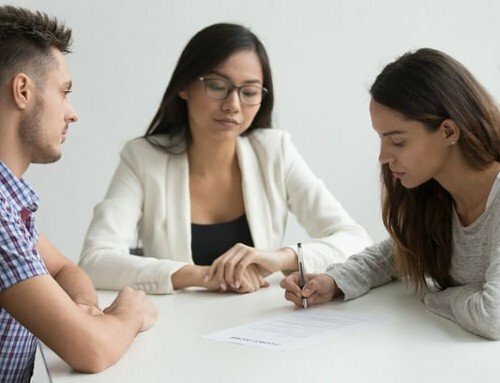 If you and your spouse are divorcing, lawyers who handle divorce proceedings want you to be aware of some of the feelings you may have since understanding the stages of divorce may help you deal with the grieving that can often occur during this time. In the first stage of a dissolution, you may find the idea hard to believe or even deny that things have progressed to this point. Divorce attorneys find that many spouses may feel out of control and struggle to find some sort of solution to keep things status quo. This can be a rather frightening and stressful period. Lawyers who help their clients with their divorce stress the importance of recognizing the truth about the situation once a decision has been made. They advise clients to focus on getting through this process in the most amicable way possible at this point. 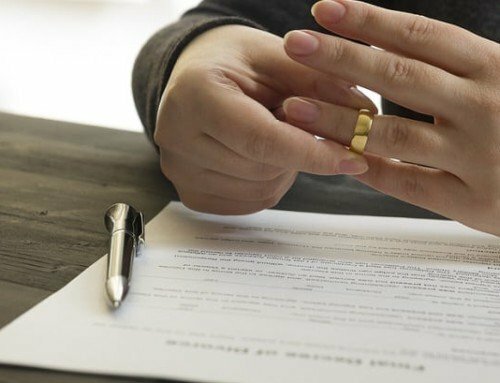 After you accept the fact that the marriage is indeed ending, lawyers who assist their clients through divorce proceedings find that many people go through a period of shock. This may include a rollercoaster of emotional swings, from the hopefulness that something can be done to restore the relationship to anger, despair, and even depression. You may even fear the idea of a life without your spouse and wonder how you will move on and whether you will ever find a new relationship. As painful as this step can be, these are normal reactions. Friends and family can help you progress through this, so it's important to reach out to them and stay in touch. The high emotions that come during the shock stage frequently lead to a bargaining stage where you may look for any way to save the relationship. You may try to bargain with your spouse to reach some sort of agreement and make changes in order to repair the marriage. This stage tends to last longer for the spouse who did not initiate the separation. When one spouse is unable or unwilling to work through things to find a restorative solution, divorce attorneys encourage the other partner to move on rather than continually wanting to bargain about a damaged relationship. The stage of realization is when both spouses finally come to terms with the situation and stop trying to rescue the marriage. At this stage, lawyers who handle divorces say each partner finally understands that nothing that is said or done is going to change the inevitable; so moving forward is the best option. Forgiveness and a willingness to work through the divorce occurs at this point, as does a willingness to look to the future and a new beginning. The last emotional stage divorce attorneys see in their clients is the stage of acceptance, when each spouse feels calmer and begins to anticipate their future. Acceptance does not mean you are happy about the situation. It simply means you are finally able to look at it realistically, without allowing emotions to prevent you from moving on in your life. With acceptance, you will begin to plan for your future and discover new hope that you can still lead a great life, one that may even include new relationships after you have healed. Experienced divorce lawyers know that getting a divorce is never easy. It can be frightening, painful, and cause you to wonder how you will go on. Fortunately, you will eventually get through each emotional stage and enjoy a fulfilling life after the end of your marriage. Divorce attorneys encourage you to consider all the things discussed above if you are dealing with a divorce and try to look ahead to a brighter future!